As we know, Facebook is the leader of social media, it is no doubt that the number of users is huge. With thousands of millions of active users, certainly, marketers are much easier to target to a large portion of the audience. On the other hand, with the emphasis on the professional base platform, LinkedIn, marketers are cool to target straight to the right market. Either Facebook or LinkedIn, both has its own benefits and advantages. But which will win in the end? We will find out. With 2.2 billion of monthly active users (statista), the chances of targeting to the right person are higher. For cost-per-click, Facebook wins the game. 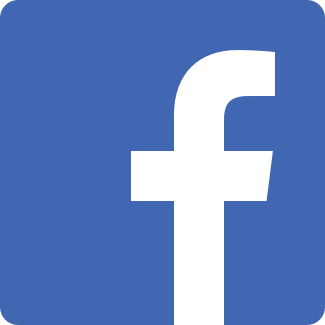 Facebook can target the large amount of audience with the lowest CPC, which means it can successfully pull out an ad with cost-effectiveness and efficiency. The phrase by Steve Jobs: “Why should I care?” indicates that people will not be pitched when things do not relate to them. However, Facebook targets the audience according to their interest which in returns, people would give more attention to the ads that they care about. There are many of marketers suggest that A/B testing should be done because it helps you to get to know if the ads campaign is worked. When someone likes or shares your ad, it will also organically reach your Facebook friends because your Facebook friends will see what you have liked, commented or shared. This is an interesting part, not only will you be retargeting to the same audience in Facebook, it also allows you to target lookalike audience, which means you are able to target to the other group of audience that has the similar interests or demographics. Although Facebook can target the huge amount of audience at one time, it is difficult for them to target companies and businesses to promote B2B exchanges and transactions. They are most likely to target general consumers and their lifestyle and interests. For big companies or businesses, they could hardly reply to every single random comment. If big companies or businesses do not constantly deal with those comments, they might be no good in customer service. So, it may not be a good ideal for them to use Facebook. The nature of Facebook is to make friends and connect with friends instead of selling services or products to companies or consumers. Therefore, if a company would like to purchase products or services, definitely, Facebook would not be the first choice. LinkedIn is a great place for B2B marketing as many C-Suite members use it. According to TechTarget, C-Suite member refers to the executive level person or chief person, which means they “are typically considered the most powerful and influential members of an organization". They can help to make a decision whether or not to purchase the products or services that are advertised on LinkedIn. As mentioned, LinkedIn is a place where people searching for jobs or companies looking for professionals. Certainly, users need to upload their resumes and professional skills data. So, with this updated data, advertisers are able to target to the audience that has certain skills or professions. Advertisers can target to the audience as narrow as it could be. With Myriad of demographic details, LinkedIn enables advertisers to target a super narrow market, which means targeting to a very accurate and high-quality target audience. LinkedIn does not want to confuse its audience when it comes to settings, therefore, they created a user-friendly and simple ads setting interface that users could easily understand. Linkedin is implementing the feature sponsored updates, which allow advertisers to launch more targeted and specific campaigns to preferred-demographics which in turns to get better ROI. Advertise on LinkedIn is relatively high compared to Facebook. The average Cost-Per-Click of LinkedIn is around $6.50, which averagely higher than Facebook $3.77 per click. It is almost double the price of Facebook. 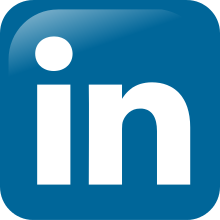 The number of monthly active users that LinkedIn has is approximately 250 million, which is ten times smaller than Facebook. (Omnicore). It is only best suited to target minimal audience in the niche market. Limited ad format and ad placements are one of the difficulties for advertisers to play creativity with. In other words, it is not easy to attract consumers to buy the idea. Other than that, because of the less variety of ads and limited placements, Users will not be constantly stimulated their sensation by an ad, thus, the buying ability is not as high as expected. 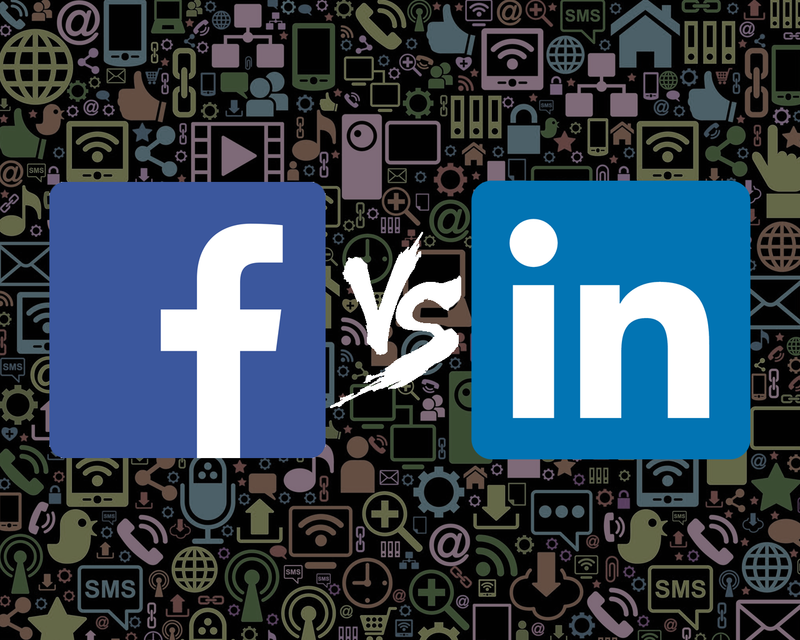 As the nature of LinkedIn and Facebook is different, users on LinkedIn tend to look for jobs or bits of advice; while, Facebook is mainly for connecting with friends. So, people tend to spend more time with friends than looking for professional stuff. This is why users not spending much time on LinkedIn. Therefore, it may lead your ads to be unseen. So, who wins in the end? Facebook or LinkedIn? For B2B definitely, LinkedIn has the advantage because B2B consumers are most likely to search products or services on LinkedIn as it feels more comfortable to purchase services or products through a professional's platforms. But if a B2B company would like to gain brand awareness, I would say Facebook because of its immense audience. ALSO, advertising cost that spends on Facebook is fairly lower than LinkedIn. In the end, it depends on your goal and makes sure you won't be targeting the wrong person. If you like this kind of comparison topics like Facebook vs Google or vice versa, click HERE for more.